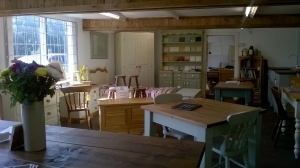 Our workshop is based just outside of Hope in the heart of the Hope Valley. We have expert, skilled cabinet makers who have been crafting furniture for over 28 years. All our pieces of furniture are made individually to an extremely high standard. We only use the best materials including Redwood Pine, Quebec Yellow Pine, Radiater Pine, American Oak, European Oak, Pippy Oak, American Walnut, Beech, Steamed Beech and Cherry. All of our furniture drawers are made using Dovetailed joints and solid bases which gives the furniture strength and character. Our workshop is designed to make the classic, standard sized pieces of furniture but these can also be made to sizes you require. We can also make completely bespoke and one off pieces to whatever your design, space or size. We love any new challenge! 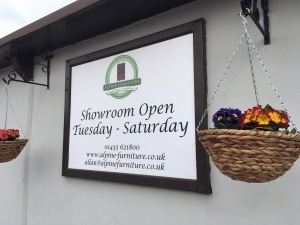 We have a small showroom which customers can visit and this is also where our furniture is finished. Our pine furniture can be finished with a classic, traditional wax or we can paint them using any colour from mainly Farrow and Ball. We can also create different wood colours by staining and waxing. For the shabby chic look we can also distress your furniture. Our oak pieces look fantastic when simply oiled and this is also easy to maintain. We can use either Danish oil or hard wax oil. We deliver our furniture to all over Britain and none of it is flat packed. We will come and fit it in situ.